Garand Webtech Inc. | Turn up your online marketing! Want to get real customers from Google Adwords without wasting your time? This one-day, hands-on workshop will show you how. Do you feel like something is missing in your online marketing plan? You can see other businesses that are getting thousands of customers and creating a buzz… but it seems like the things you try just aren’t getting you anywhere. How can the same tactics that work for others not work for you? You need real solutions. Your business is changing just as fast as your customers and your competitors. And with the weekly news about Google updates and Facebook restrictions you can’t afford to build your business on something that will be shut down next year. With the constant changes happening now, following outdated marketing strategies could put you out of business. Most marketers are focused on the wrong thing. They can get you more pageviews, clicks, impressions, likes, and fans. But where are the paying customers? The best social media or SEO strategy won’t get you real business results if the rest of the marketing system isn’t supporting it. We see marketing differently than most people. It’s not about jumping on the latest trend, hoping to get a few more customers today that will move on to the next hot thing tomorrow. Who wants to put in all that effort just for temporary results? Or copy the latest hyped business that has no substance and tricks people into buying a bad product? That just leaves you scrambling to bring in enough sales to pay your employees and vendors every month. There is a better way. 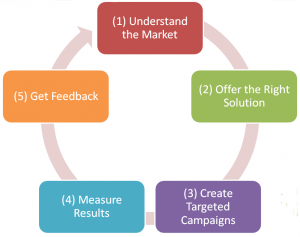 After working with businesses from startups to major media companies, we came up with our Marketing Loop Framework as a new way of looking at the challenges you’re facing. 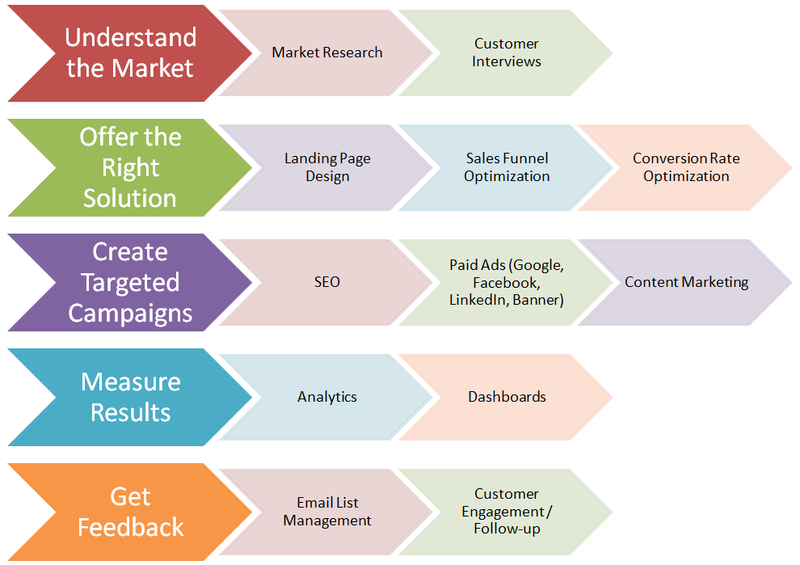 It starts with the most basic forces that affect your marketing and sales. After we identify and fix the biggest roadblocks in your business, we start building a system to bring in new customers. When you take the time to do this right it eventually creates a powerful force drawing people to your business. The biggest thing you will need to think about is how you can best handle the constant flow of customers and where you want to expand your business next. And to make it even better you don’t need to annoy or trick people into buying from you. That doesn’t work anymore — not for businesses that are going to be around for a long time. Instead you connect to your customers’ needs so that they are excited to see your marketing and discover your products. And once they have a chance to use the products they are eager to tell others about them. This isn’t something you need to bet the company on. When you do it the right way you can see exactly what’s happening at every step and make confident choices that you know will get you the results you want. Marketing is changing fast and there have never been as many opportunities as we have now. This is real marketing and it’s the most powerful and profitable thing you can do online today. Do you think it only applies to the lucky few companies that have the perfect “viral” product? That’s absolutely wrong. Businesses everywhere in the world, in every market, are doing this. Your potential customers are waiting for you to do it. Your business needs it. Will you be one of the people who take advantage of the best opportunities available today? We have a limited number of spots available to guide businesses that want to reach customers around the world. We use our marketing framework to show you where you are losing sales and missing customers, then apply the best strategies available today to fix those problems. When you do this well the results are hard to believe. One missing link in the chain could be taking way 50 – 99% of your potential customers. Fix it, and the results are extremely powerful. Do that a few more times and it keeps multiplying. A typical business that’s selling online today is making more than a few of these mistakes and has huge potential for growth. Are you ready to find what’s limiting your business potential? We want to share our strategies and techniques with as many people as possible. But the bad news is that we have a limited capacity. We just can’t work with everyone and we carefully choose companies that have the most potential to grow with our help. This won’t be easy. We do everything we can to help you. But discovering what’s holding you back means facing the uncomfortable truth and making changes. If you want to get much bigger results without making any changes to your business or how you present yourself to customers, we can’t help you. If you keep doing the same things you keep getting the same results. When you are ready to take the next step — ready to really be different — then you are ready to get much bigger results. And we’re ready to help.